RS PRO coloured cable ties are a type of fastener used for holding items together, most commonly electrical cables or wires. 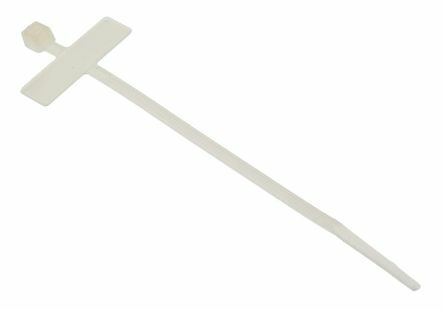 These cable ties are made from Nylon 66 (also known as nylon 6.6) and are a one-piece, self-locking fastener that functions like straps to keep cables tidy. Each pack contains non-releasable cable ties, comprising of coloured and natural to enable colour coding of cables or components. Ideal for cable and wire management. 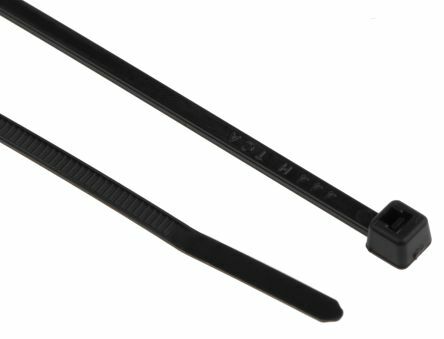 The design of a cable tie includes a head which provides the slot for the tape to be pulled through, to make a loop. The cable can be pulled through the slot until the preferred loop is achieved and then the excess cable can be cut off. When threaded through the slot, the teeth of the cable form a lock which cant be pulled back through. These coloured nylon cable tie packs should be an essential part of every toolkit. With the RS PRO wide range, there are a variety of sizes and colours to suit all your requirements. Can cable ties be reused? 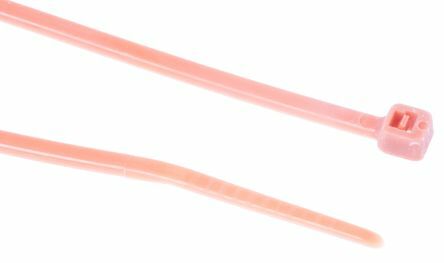 Cable ties typically come in two varieties which are single-use and reusable. It is possible to undo a single-use cable tie without having to cut it open so it can be used again. When trying to undo a traditional cable tie, it can be quite simple. Just stick a pin or something small in the locking mechanism, press down and slide it out. But bear in mind that single-use cable ties are designed for that purpose, so even though its possible to technically undo them and use them again, the plastic teeth can wear down the more theyre undone and re-tied. Also, manipulating the locking mechanism can damage it, meaning the tie develops a looser grip over time – so refrain from using old ones to tie anything that needs to be really secure. 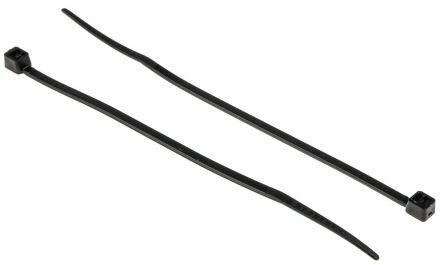 What are the different types of cable tie?